Angry Birds at the Library and in Your House! Alameda County Library Branches recently held game days in celebration of the American Library Association’s International Games Day. I hope you were able to come to one of our Fremont Branches and play with us. 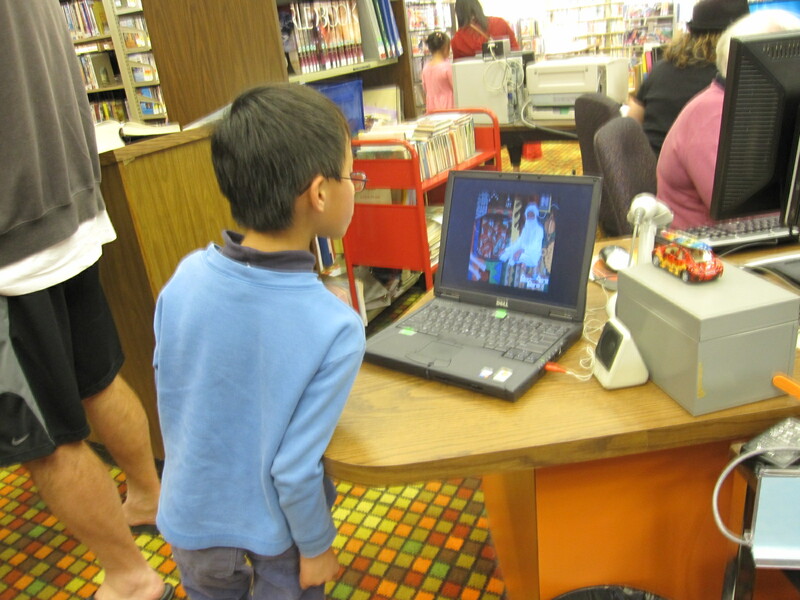 One of the highlights at the Centerville branch’s game day was the Angry Birds. You’d be surprised at how easy it was to make these birds and how much fun this homemade game can be. It’s a fairly inexpensive craft for families to do together and is perfect for the next rainy day, family game night, or a weekend afternoon. You can also use popsicle sticks to help build your tower of cups. Googly eyes add an extra bit of fun to the Angry Bird faces, although I just used plain white paper. For more information and crafting instructions check out makeandtakes.com. Learn how to create yarn pom-poms with a fork! I didn’t use a needle to thread the yarn through the fork prongs. I found that it was easy to do that with just my index finger and thumb. I also didn’t bother to trim my pom-poms because I didn’t want to make them too small. It did take a couple practice pom-poms before I was ready to glue on the faces. Black bird – wrap the yarn 25 to 30 times. If you don’t have yarn at home you can use storebought crafting pom-poms instead. They work just as well and would be cheaper than buying the different colored yarn. If you have a slingshot you can try to launch your Angry Birds that way. We chose not to use sling shots at the library to launch our birds so we just tossed them at our tower of cups. 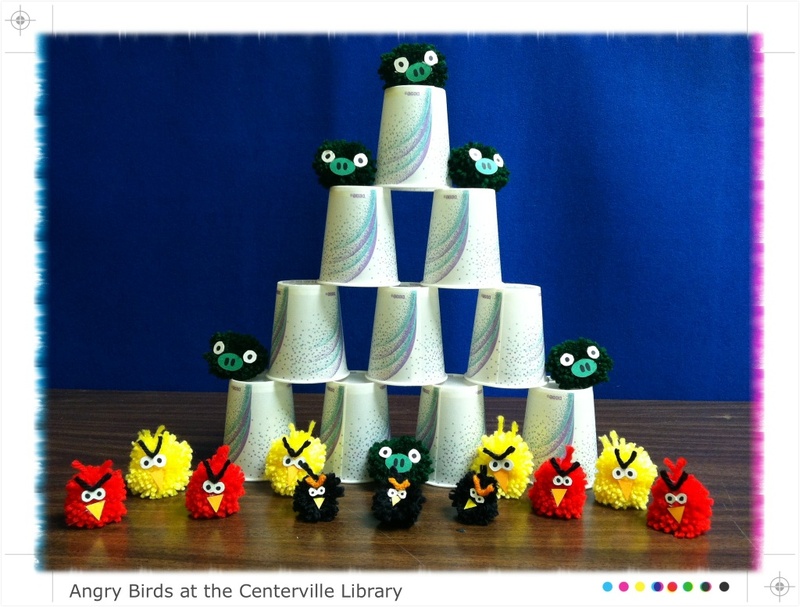 I hope you are able to enjoy this Angry Bird craft game as much as we did at the Centerville Library! Thank you for coming to our Open House! 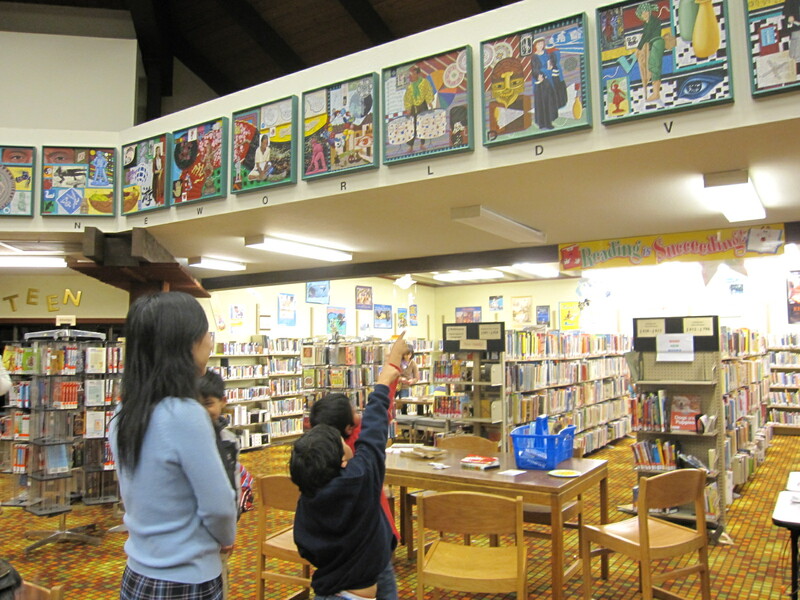 On November 24, Centerville Library held an open house for Larry Van Deusen’s “My Global Village” paintings and it was a great success! 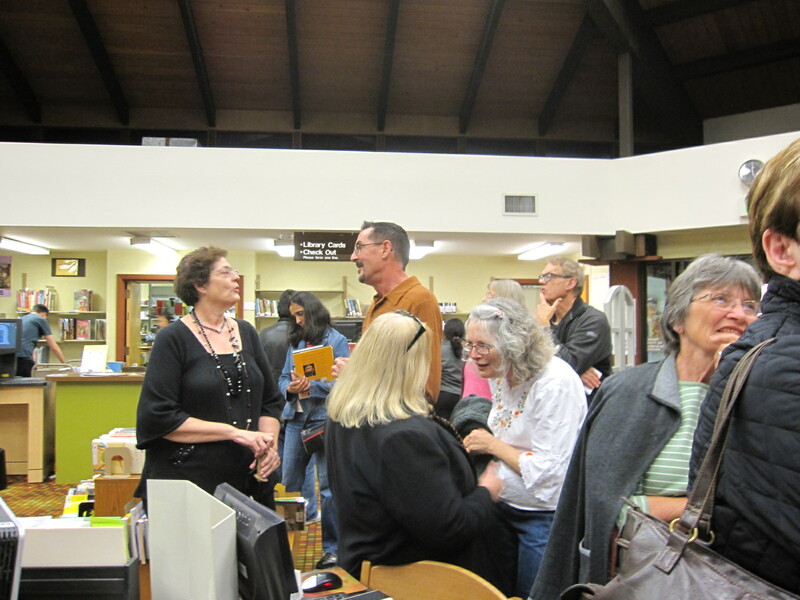 Many people came to admire the beautiful artwork and chatted with Mr. Van Deusen. 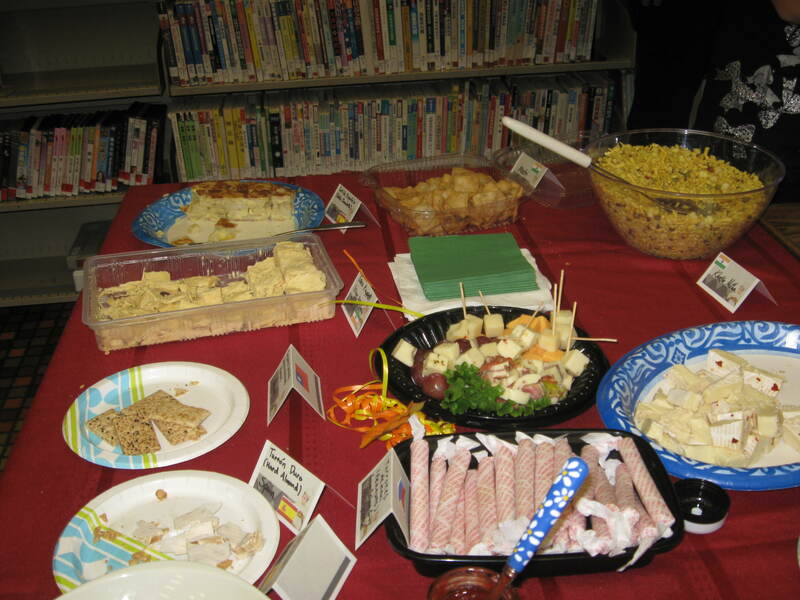 More than 20 international snacks and drinks were served to celebrate the global theme. 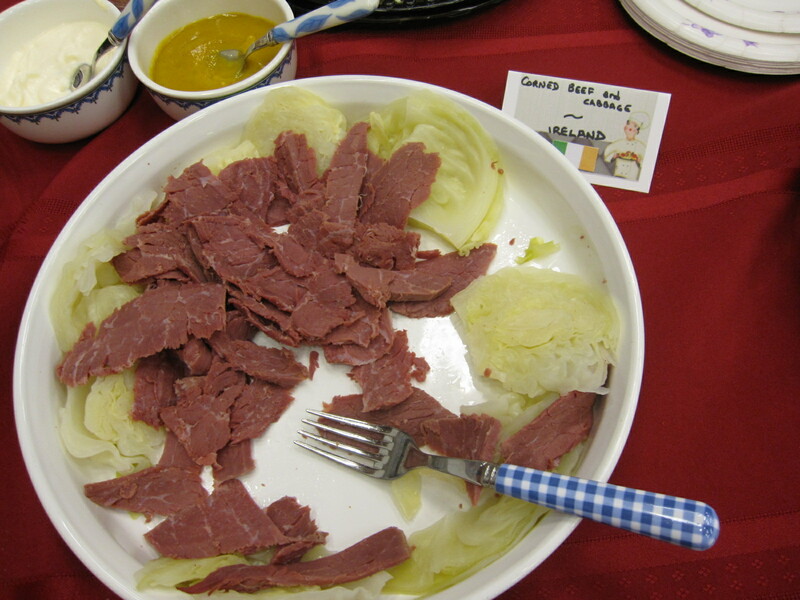 There were dishes from Ireland, Spain, China, India, Israel, Japan, just to name a few. Children were having fun trying to find the hidden letter in each painting. Some people stopped at the desk to watch the paintings slideshow. It was such a nice event! 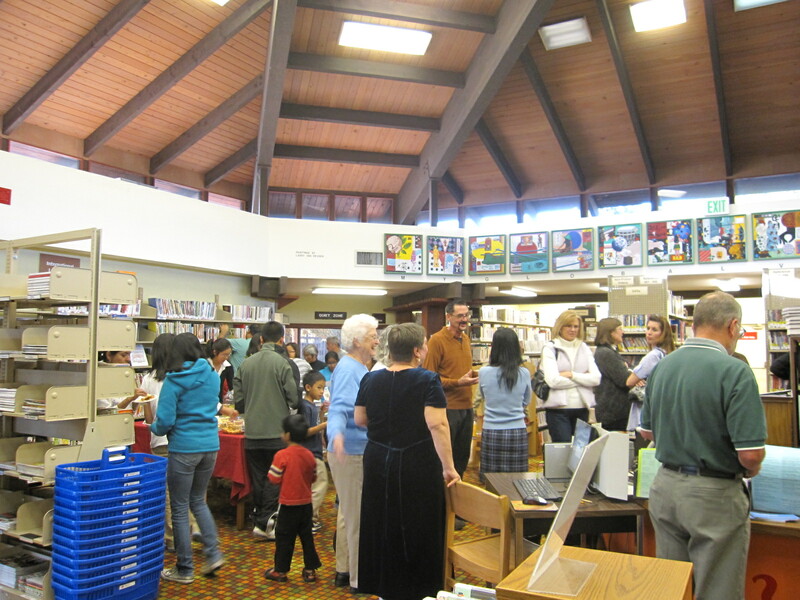 We would also like to thank our County Librarian Jean Hofacket, and all other library administrators and staff for taking the time from their busy schedule to attend this open house. 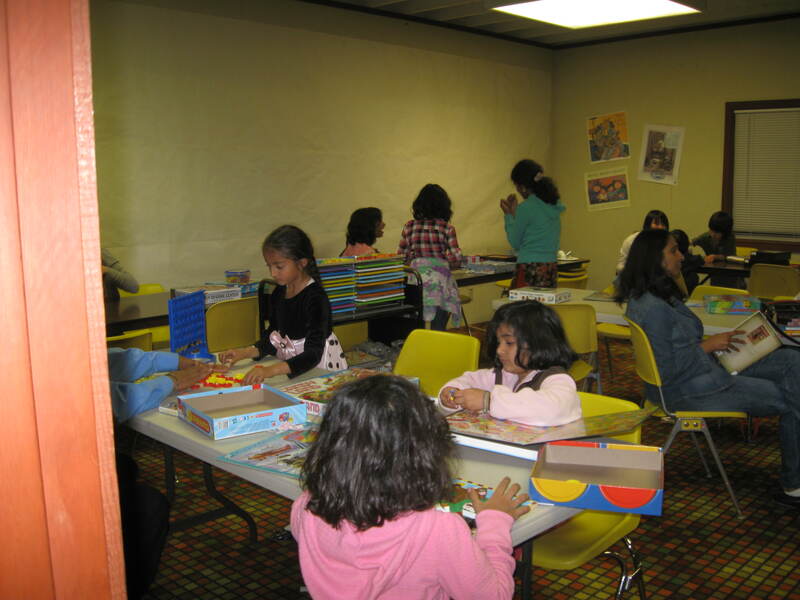 But the fun did not end here, if you headed to the meeting room, you would see families and friends were having a good time playing board games, toys, and Wii games together. It was an awesome afternoon at Centerville Library! Thank you all for coming! 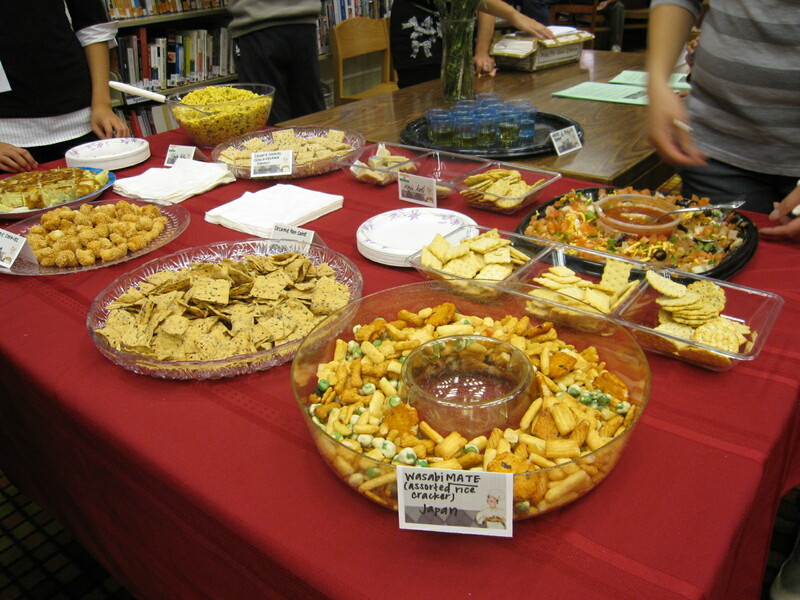 Thank you if you brought in the refreshments! Last but not least, a big thank you to all our wonderful teen volunteers! 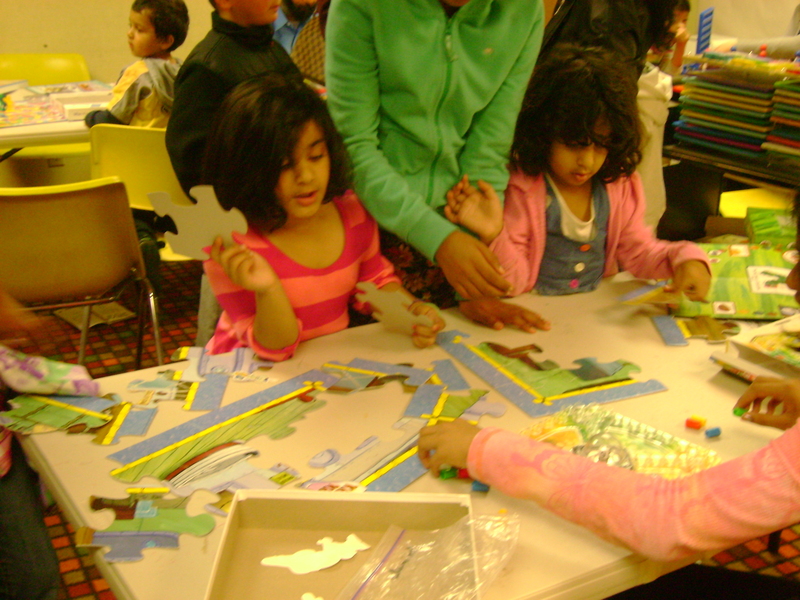 Without your help, the open house and family game time would not have been so successful. You are the best!